Welcome all of you to Vietnam – the most beautiful countries located in the South East Asia, the latest Asian dragon awaking from its slumber! Owning to stretching the length of the Indochinese Peninsula, Vietnam boasts a unique shape of an elongated S and a long coastline of 3,444km (2,140 miles) with a lot of wonderful sites that absorb more and more visitors from all over the world. 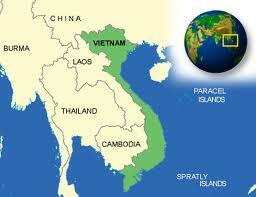 Vietnam has latitudes between 8° and 24°N; and longitudes between 102° and 110°E. The wide latitude contributes to the long borderline with China in the North, and the stretch of longitude makes Vietnam neighbor of Cambodia and Laos in the West. This stretching longitude also gives Vietnam the borderlines with the Gulf of Thailand in the South West, the East and the South with the East Sea (Vietnamese saying), and with the Gulf of Tonkin in the East. Total landline of Vietnam with those three countries (China, Laos, and Cambodia) is 4,639km. Moreover, this stretching creates the S-shape for the country with the distance of about 1,650km from the North to the South, and brings it a long coastline of 3,260km excluding that of islands and peninsulas, that owns many world-widely famous beaches as well as islands and peninsulas. The highest mountain of Vietnam is Fansipan that is located in Lao Cai in the North of Vietnam, and is at 3,143m height. The lowest point is the East Sea with height equal to sea level. Working hours: 8 hours a day from 7.30 am to 4.30 pm (summer time); or 8.00 am to 5.00 pm (wintertime). Saturday and Sunday are weekend and day-offs. Estimated population of Vietnam up to July 2011: 90,549,390. This number gives Vietnam the rank 14th in the world in the field of population. The official language is Vietnamese and it is used as the mother tongue by 90% of the country’s population. Political party is the Communist Party of Vietnam (CPV); other parties proscribed. Apart from the triple religion, including Mahayana Buddhism, Confucianism and Taoism, there are some significant minorities such as Roman Catholicism, Cao Dai, Hoa Hao, Hinduism, Islam, Protestantism, and Theravada Buddhism. 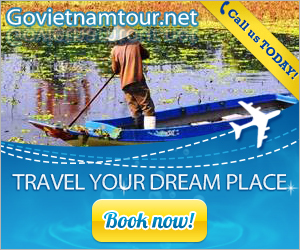 Besides those public holidays, Vietnamese people often have around 5 to 7 days off when the new Lunar year comes. This chance of holiday is often in late January to end of February. Moreover, it is the most welcome and awaiting holidays for Vietnamese people, especially young children. 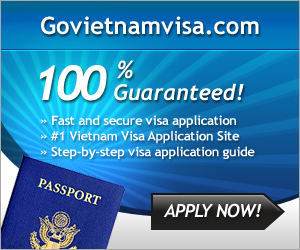 If you have any queries about Vietnam vacations or Vietnam visa, kindly contact us at support@govietnamvisa.com or hotline +84.936.600.886 or +84.946.762.224 for free guide.